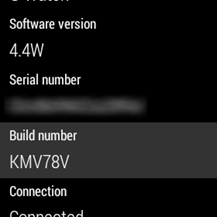 The first step of gaining aditional access on your Android Wear is enabling USB Debugging. Even gaining access to the bootloader or recovery is difficult, if not impossible, since there are no buttons on the G Watch (except for reset). 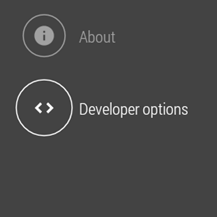 Since enabling debug mode is a necessity for most developers, these steps have already been documented on the Android developer portal. 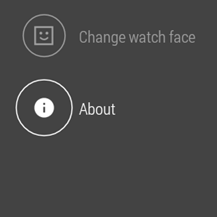 Tap on Wear’s watch face. This will take you to the voice prompt. Be sure to hit the watch face instead of a notification card. 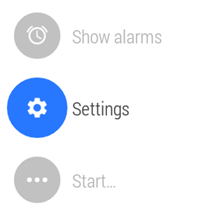 Wear will wait up to 3 seconds for you to say something, then it’ll change to a scrollable list of native actions. 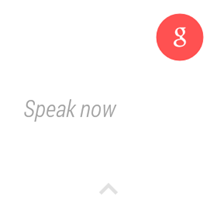 You can speed this up by swiping up or tapping on the voice prompt. Swipe right (to go back) to the Settings menu. 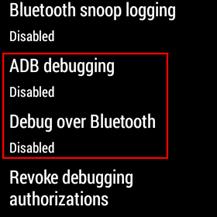 Find and set ADB debugging to Enabled. You’ll be asked if you’re sure you want to enable. Tap the checkmark button to confirm. [Optional] If you want to also turn on debugging over Bluetooth, Find and set Debug over Bluetooth to Enabled. 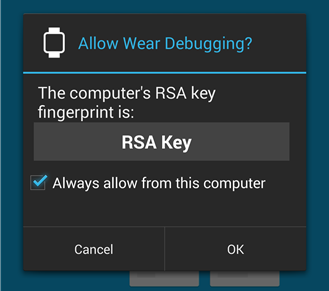 Note: As long as debugging is enabled, attaching Android Wear to any computer with ADB installed will open a prompt like this on the phone your Wear device is paired with. If the computer belongs to you, it’s probably safe to check the box and tap Ok so you won’t have to authorize it each time. If you ever see this dialog when you aren’t expecting it, you should probably play it safe and press Cancel.